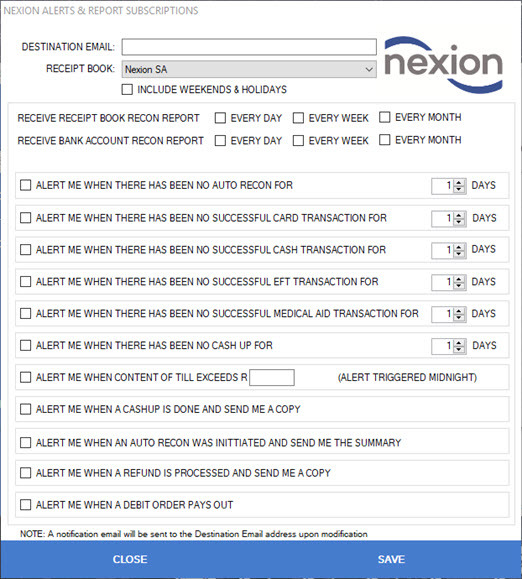 Nexion Alerts will allow you to select triggers to generate emails when certain events occur or if an event has not occurred within a selected number of days. This function will allow you to pro-actively monitor key activities in your practice. Please see below screen shot of the Alerts Screen allowing you to select Alerts.